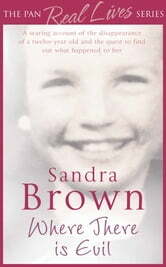 Sandra Brown was eight when her friend and neighbour, twelve-year-old Moira Anderson, disappeared from the small town of Coatbridge near Glasgow in 1957. Moira has never been seen since. Twenty-seven years later, at a family funeral, Sandra's estranged father confessed to her that he had been involved in the girl's disappearance. Appalled and fascinated by his curious half confession, Sandra began to delve into the case and in so doing discovered that her father was an acknowledged child molester whose activities were known not just to everyone in Coatbridge but also to the police. The horrifying jigsaw she pieced together, along with the admission her father had made, ultimately convinced Sandra that he had indeed been responsible for Moira's disappearance nearly fifty years ago. Where There Is Evil is the remarkable story of Sandra's quest to unravel the mystery and see justice done. The Girl and the Horrors of Howard Ave. 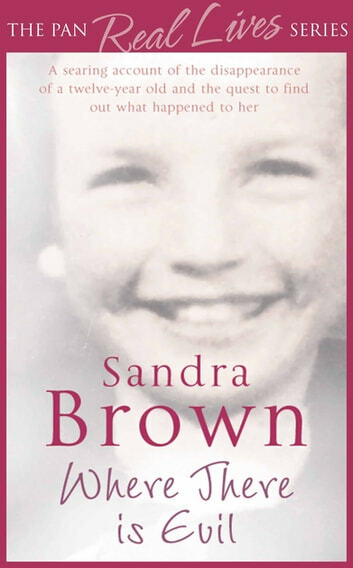 I have been an avid reader and lover of Sandra Browns books. I enjoy fiction and am not much into autobiographies. This book though held me the whole way through. I think that some of us would wish it was fiction as we really don't want to believe this can happen in our safe little worlds we call home. Kudos for Sandra for dedicating much of her life to making her Dad accountable. Maybe after reading this other victims of similar abuse will stand up for their rights. On finishing the book I immediately went and googled the real life history on it to see what was the outcome of all her efforts. Very well written, definitely a story that needed to be told. It made me angry, sad, thoughtful and so much more. Read it! A well written horrific story of a woman whose father purportrated heinous crimes on a city and the folks who lived there. Truly intense mystery discoveries with so much hurdles to overcome to find the of a crime that involves her own Father that occurred 27years ago... Carefully & tactically explores the innocent of an 8yr old girls ripped off in the face of a Monster!!! It was a horific tale told about someone anyone of us could know. A neighbour, a family member you just never know.